To many of its advocates, sanctions were meant to stifle the Iranian economy and lead to widespread discontent and an eventual regime change. While sanctions have succeeded in bringing the economy to a standstill, there is an eerie absence of anti-government protests in Iran. The failure of the Arab Spring alarmed the Iranian people about the destabilising effects of collective action and mass-street protest without a viable progressive political alternative. The catastrophic consequences of the Arab Spring, the deepening instability in the region, and the rise of ISIL have brought millions of Iranians to cherish the political stability delivered by the Islamic Republic. The failure of sanctions to produce political action against the Iranian regime must be a cause for reflection and policy reassessment in the weeks and months leading to the final deadline in nuclear negotiations. Given the widespread instability in the region, insisting on new sanctions, or demanding military action against Iran – as recently called for by John Bolton – will lead to irreparable negative outcomes for all parties involved. 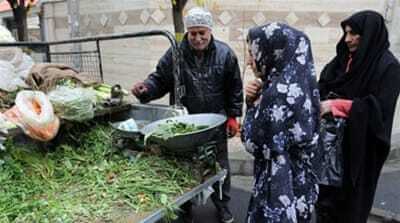 Sanctions succeeded in bringing the Iranian economy to near paralysis. But they failed politically. The plummeting of the national currency, the chronic shortages of spare parts and raw materials, medicine, and other basic needs, and soaring prices are among the most tangible effects of sanctions. The fear of the failure of negotiations has amplified the negative effects of sanctions. Iran is plagued by an unprecedented negative psychology affecting the economic decision making of many. While the state coffers are nearly empty, many in the private sector are sitting on the sidelines, waiting for the outcome of nuclear negotiations. The situation has increased the use of existing resources in speculative activities in currency markets, land and real estate, and trade, while resulting in rising prices and further shortages of basic needs and material inputs for industries. Following two years of economic downturn, the Iranian economy has begun a slow recovery. Meanwhile, the unofficial unemployment rate stands at 20 percent, and inflation is estimated at 23 percent. However, despite the unprecedented economic pain, sanctions are failing to produce political action against the Iranian regime. Iranians worry that capturing or destabilising Iran remains the ultimate prize for the Sunni jihadist forces. The Islamic Republic has, so far, proven capable of protecting Iran. At this junction, this is a benefit that outweighs the regime’s authoritarianism and repressive policies. After having fought the abuses of the Islamic Republic for three and half decades, Iranians seem content to use the regime to protect their small Island of stability in the turbulent ocean that surrounds it. Regime change does not seem to be within the near horizon of most Iranians. No additional sanctions can change this. It was this understanding of the regional politics that brought the Iranians to the polling stations to vote for Hassan Rouhani in June 2013. More than his promises of domestic reforms, what energised Iranian voters was Rouhani’s pledge to normalise relations with the United States and the West, gain sanctions relief, and end the nuclear deadlock. Iranians voted for the promise of stability and normalcy. They oppose sanctions because of their immediate impact on their livelihood and the potential effect on the stability of the country. The continuation of sanctions will lead to unwelcome social and political consequences. A businessman who owns a manufacturing firm told me he fears disintegration and civil war if the negotiations fail. Even the hardliners in Iran do not wish for this outcome. A credible promise of substantial sanctions relief will guarantee the success of nuclear negotiations and satisfy the Iranian people’s quest for stability. Meanwhile, this will be crucial in transforming the political dynamics of the region and containing the devastating influence of ISIL and al-Qaeda groups. The gains from this stability can have immediate positive spillover effects in the region. A deal between Iran and P5+1 can be used to persuade the Islamic Republic to play a more constructive role in the future of Iraq for example. There is an imminent chance that Iranian-backed Shia forces and the Iraqi Army can push ISIL out of Tikrit and regain the control of the city. The United States can use the nuclear negotiations to persuade Iran to help protect the Sunni population of Tikrit. This will further the possibility of forging a real and more stable Sunni-Shia coalition to drive ISIL out of Mosul, the next crucial battlefield. Iran can and should be enticed to help reduce sectarian tensions after the liberation of Mosul. A stable Iraq in which Sunni and Shia live in peace will enhance the chance of stability in the region. Stability is not a zero sum game. A similar role can be expected of Iran in Yemen. The current conflict and the aerial campaign by Saudi Arabia and its allies will further ignite the flames of instability in the region. A diplomat approach with active participation of Iran will help defuse the crisis.